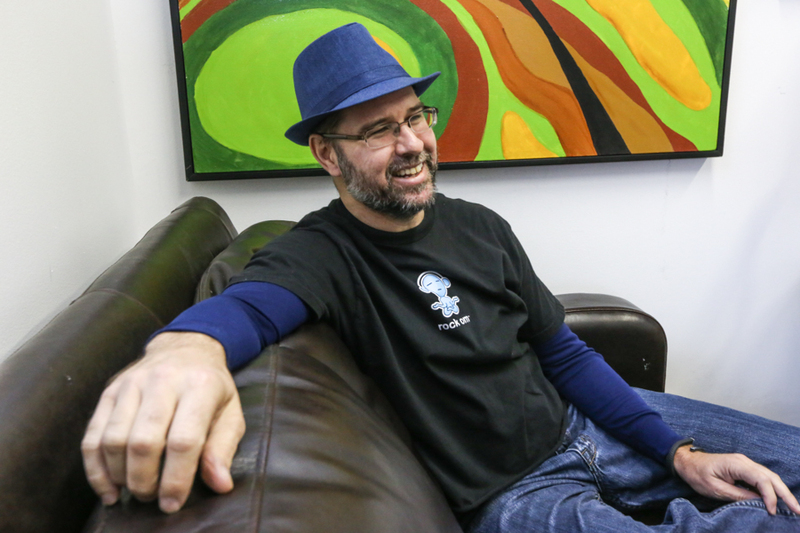 At 40 years old Steve Golab, a fixture of the Austin tech scene, is lucky to be alive. “[Last April] I was walking up a hill in South Austin and it felt like I hit an invisible wall,” he remembers. It was a heart attack, but Golab and his doctor didn’t think so at first. He didn’t even seek medical help until several days later as he continued to have trouble getting around. 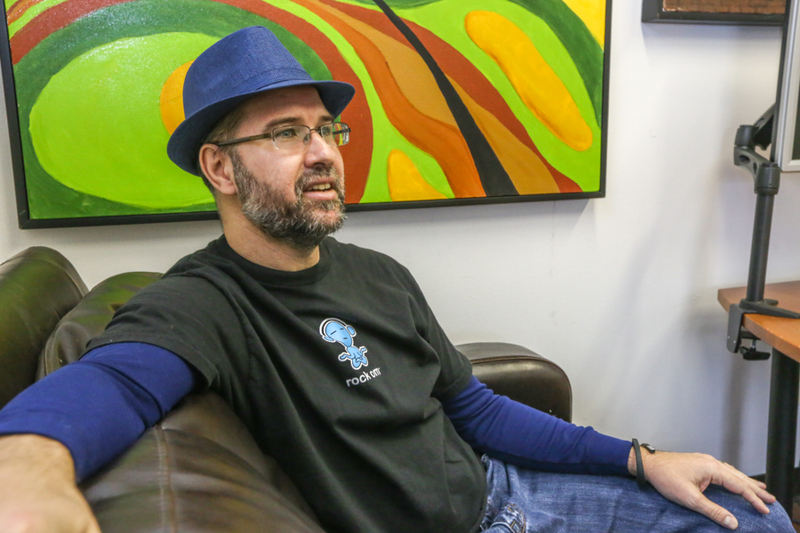 “It was like something was growing inside of my chest whenever I went up stairs,” he said. His doctor at first suspected a pulled muscle but Golab insisted on having an EKG and other tests. It turned out that an artery (the left anterior descending) was almost entirely blocked. “I went 28 days without knowing I had this,” Golab said. 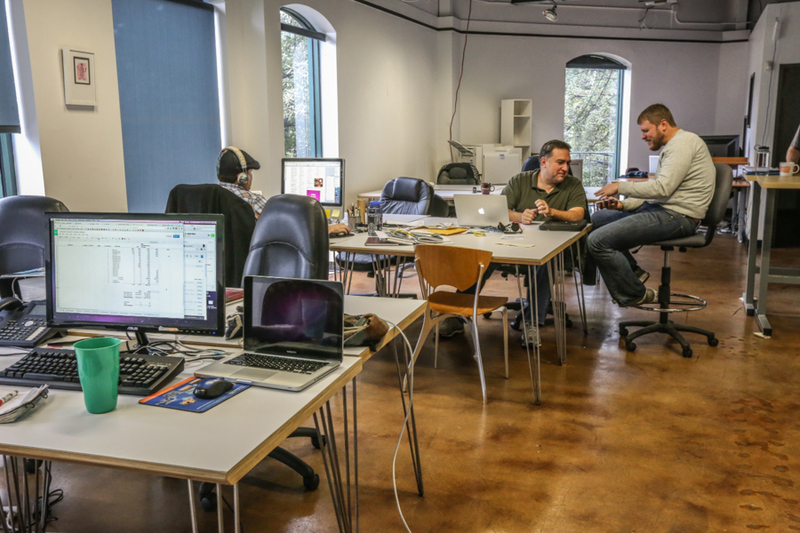 Golab’s creative marketing consulting company, FG Squared, began renting out its office space to other companies during the worst period of the recession and The GoLab was born. Fifteen companies share space in this bright and open office. Windows look out on the quieter end of 6th Street in downtown Austin. Bars that are rowdy hotspots by night sit quiet and shuttered on all sides. Coworking spaces are popping up across the world and Golab believes they are a sneak-peak at the office of the future, where cooperation is encouraged and different work habits are nurtured. 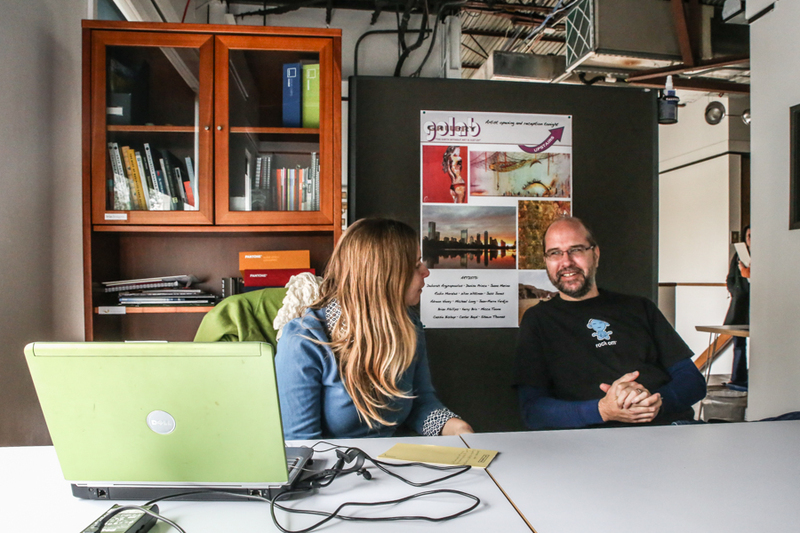 The GoLab is home to independent freelancers, contract workers, and small companies with even smaller budgets. All benefit from the arrangement that lets them share infrastructure and resources. Workers inside The GoLab are mostly dressed casually, and Golab himself wears a T-shirt and jeans. At one point he finds a blue fedora – part of a since-forgotten corporate promotion – and models it for some of the coworkers. “I think I’ll wear this for the rest of the day,” he says. 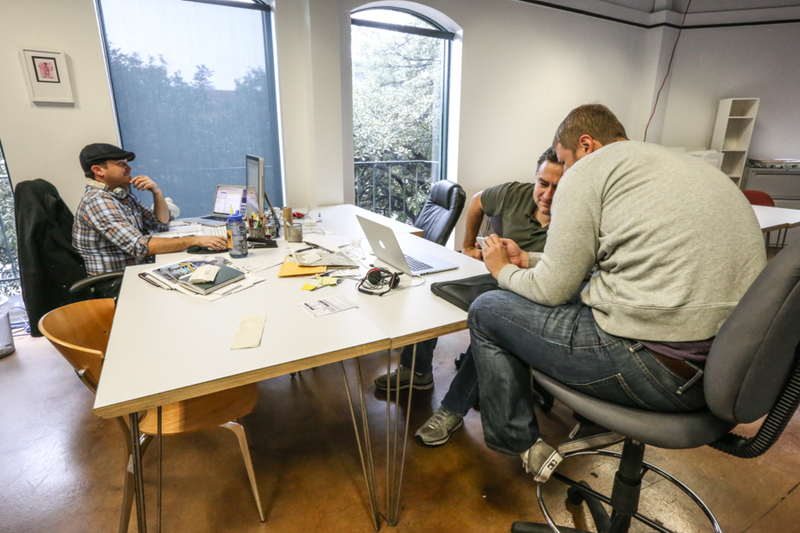 Workers in the GoLab share space at tables instead of being sequestered in cubicles. They can see each other, ask questions of people across the room, and easily fall into conversation. Workers never know when a talk about weekend plans or an upcoming project will lead to an idea for collaboration or a tip for improvement. 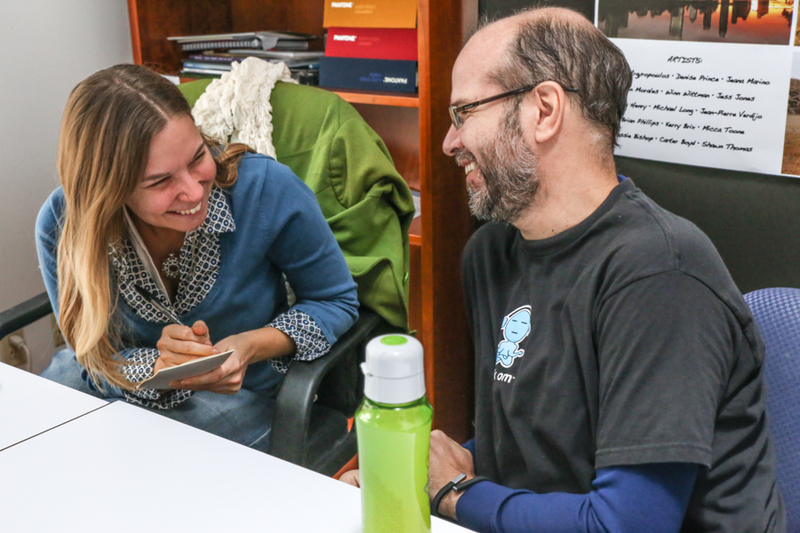 Walking through the office, Golab begins chatting with Candice Beckmann, who uses the shared office for her work with Sublime Designs Media. She shows Golab a video about a seminar she is signing up for and Golab says he may sign up himself. “See, that’s the way it works,” he says. This kind of small talk seems to come naturally to Golab, who has a smile, a greeting, and maybe a little joke for everyone who crosses his path. Indeed, much of his business these days is based on encouraging companies and individual workers to form relationships while he does the same. 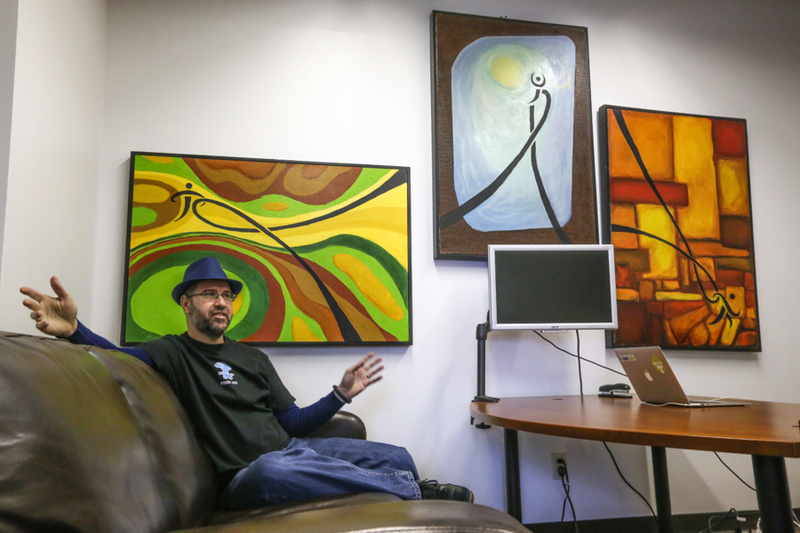 His office is decorated with a series of paintings, done for him by an office mate, called “The Maven,” “The Relator,” and “The Evangelist.” They refer to personality types in the book “The Human Fabric,” written by Golab’s friend and collaborator Bijoy Goswami. 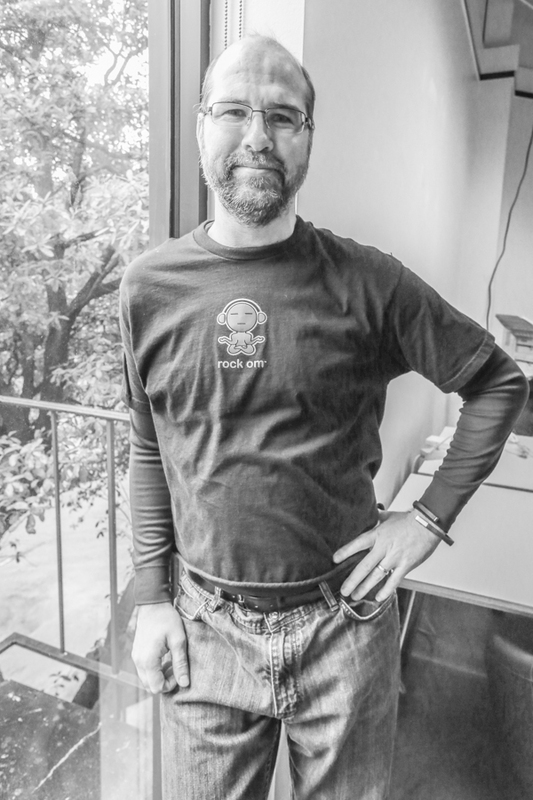 When Golab co-founded with FG Squared with Jason Fellman and Casey Gum as a technology consulting company in 1994, his partners acted as the face of the company. Golab moved to the forefront over the years as the company’s leadership and business model changed. 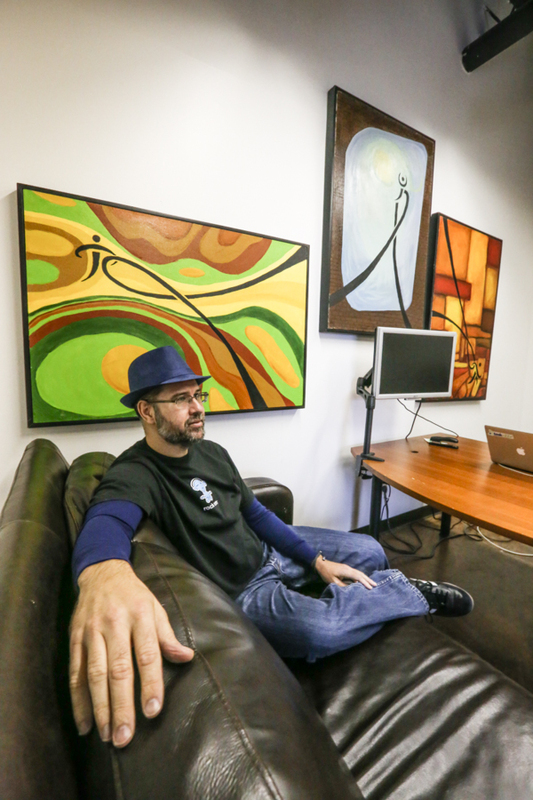 “The essence of a company can change depending on who the owners are,” he said. Fellman and Gum no longer own their shares in FG Squared, and although there is a new co-owner, Golab was forced to fill their shoes as the public face of the company. The company itself has evolved over the years, too. 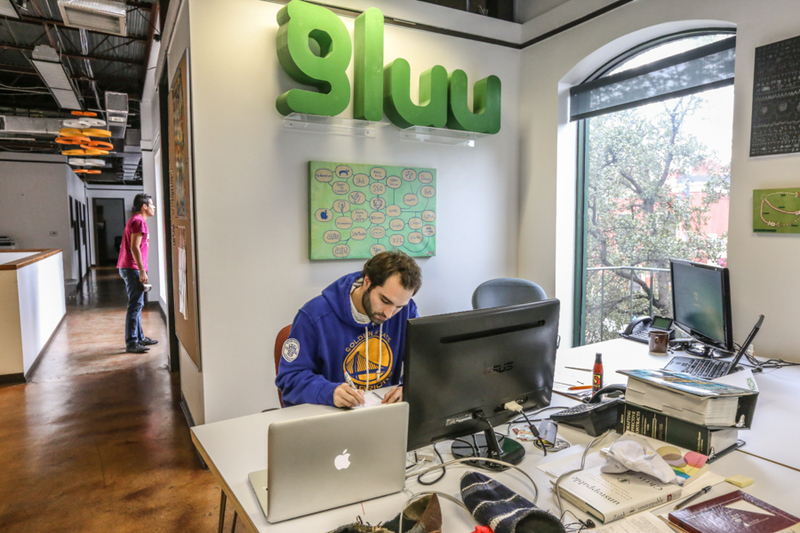 Golab started it when he was still a student at UT Austin and quit school when FG Squared began demanding as much as 80 hours of his time per week. “It was worth it to leave school with all the learning I was getting running the company,” he said. 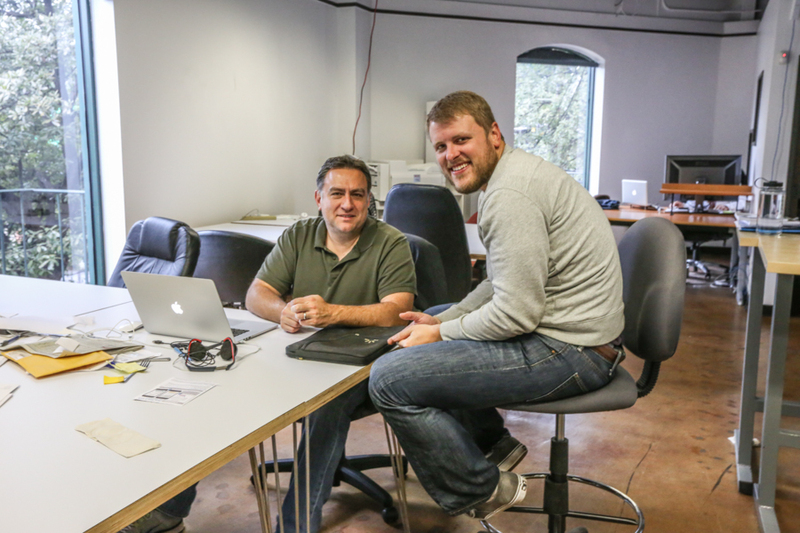 When it was founded, FG Squared was on the cutting edge of HTML and helped companies establish a presence online. They established themselves as a leader in 3D animation when it had just become possible. As commerce – and especially marketing – became more online-based, FG Squared followed and focused on the marketing needs of corporate clients. Like many businesses, the company took a major hit with the economic slump of 2008. Some workers left and others began working from home. 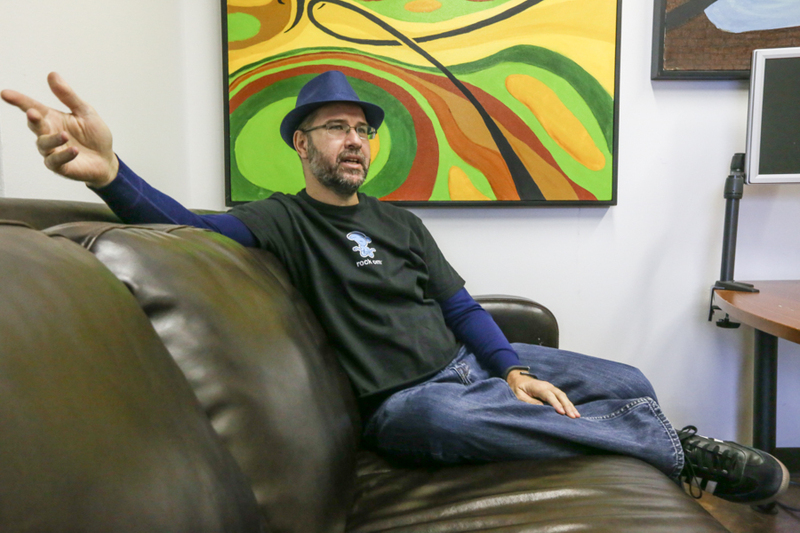 “We had all this space and we weren’t sure what we wanted to do with it,” Golab said. That’s when the idea for the GoLab took form- a clever play on Steve’s last name. 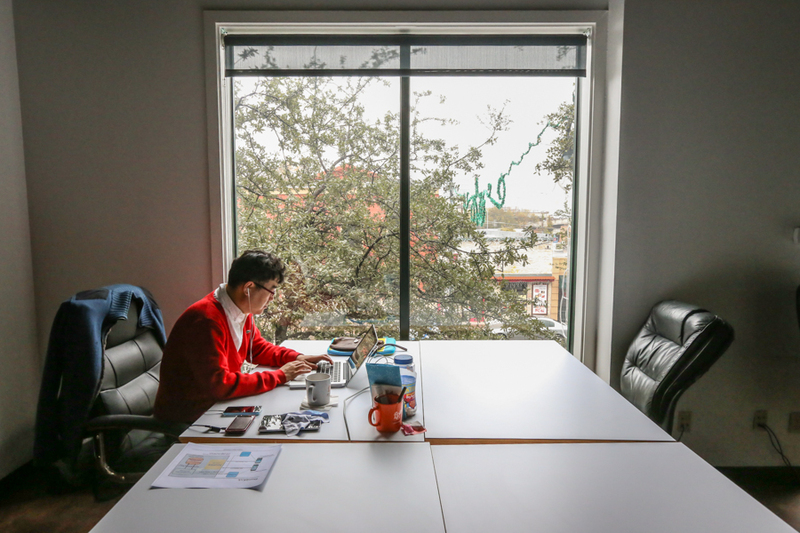 With the creation of the shared office space, Golab’s role as a great connector in the Austin tech scene began. 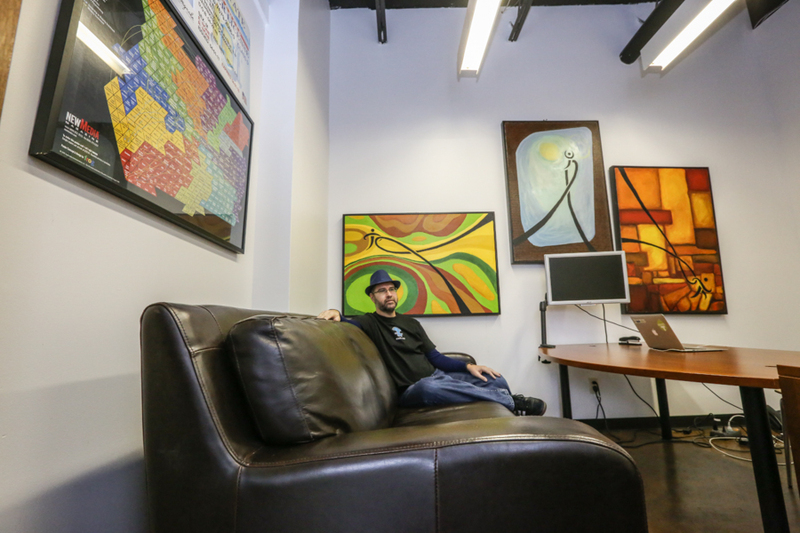 Since then he has hosted unofficial events at South By Southwest called South By GoLab, turned his office space into an art gallery, and unveiled an idea for a coworking space made up of wellness professionals at South By Southwest Eco. He has also opened up the GoLab for a myriad of seminars including health and wellness talks, a hackathon, and “Lunch and Learn” talks in which participants learn about a host of subjects. 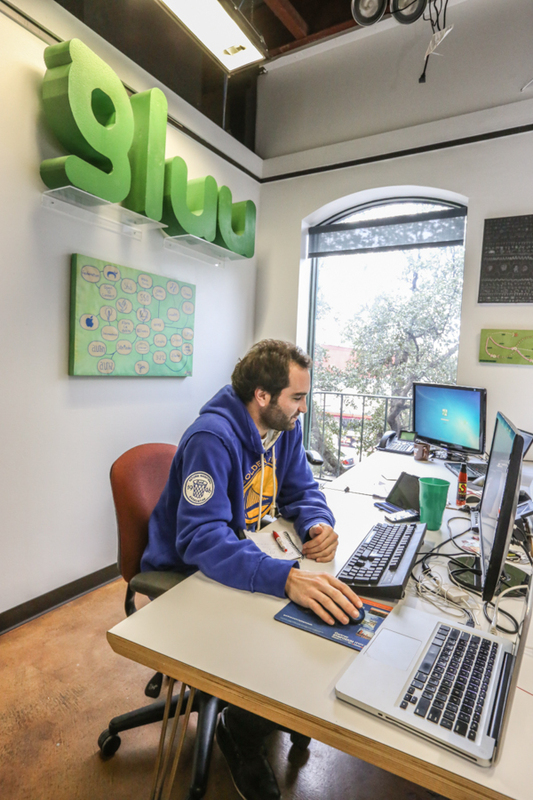 The midst of the economic downturn turned out to be a great time to open a shared office space. With so many companies laying people off, many of the newly unemployed were going into business for themselves. Small companies couldn’t afford to rent their own office spaces and moved into the GoLab instead, where infrastructure costs from Wi-Fi to coffee are taken off their shoulders. 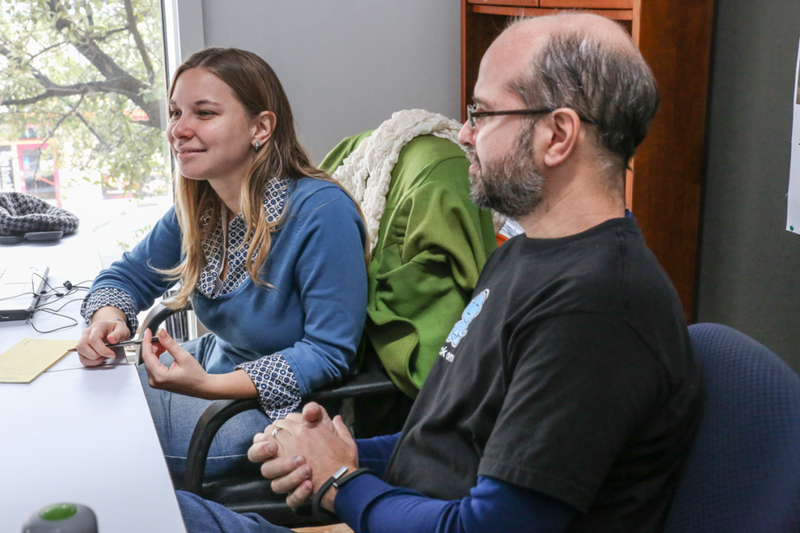 It’s proven a hit with its coworkers who are adapting to a new economy. “I was going crazy at home,” says Beckmann, the designer, about her stint as a stay-at-home contract worker before coming to The GoLab. She originally came to the shared office space to start her own business, a social network for creative professionals to find and work with each other. While working in The GoLab, Beckmann said she has gotten may business ideas from conversations with her office mates. And, she said, Golab is always there to facilitate work. 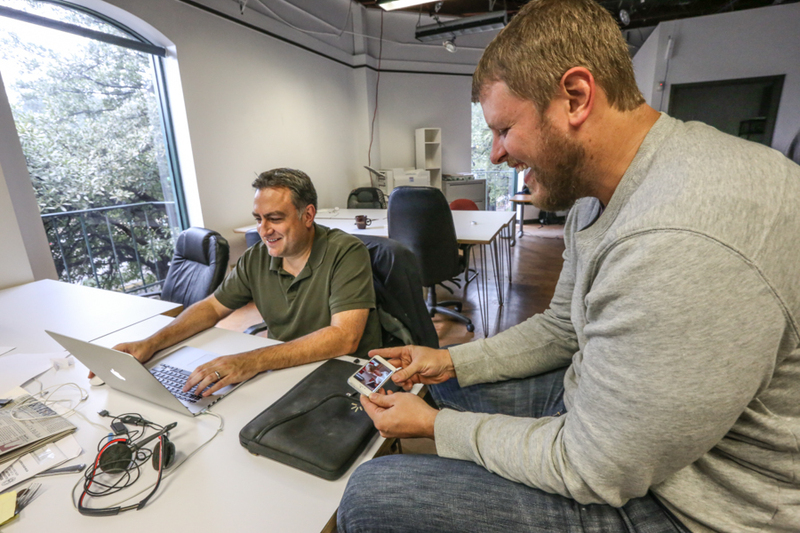 Aside from creating many happy tenants, the GoLab concept has paid off well for FG Squared, which hired someone from the coworking space to rebrand the company in 2008. 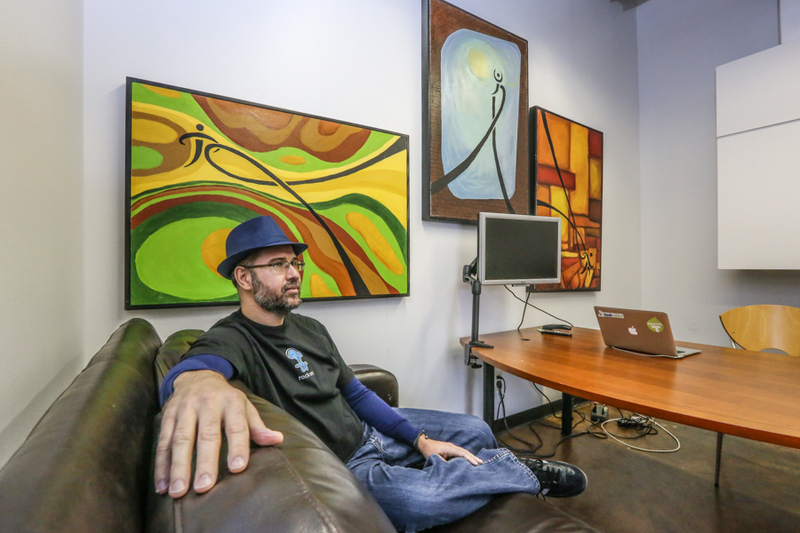 FG Squared refocused itself as experts in Jive software. They are now an enterprise solution social networking company that helps clients manage online communities by rolling blogs, social media, discussion forums, and more into one platform. The rebranding was a massive effort. In fact, it’s what nearly killed Golab. Talking about his near-death experience and the new changes in his life is the only time that Golab’s voice loses its cheerful tone. For him, all of the wellness seminars – the discussions about finding the meaning of your personal journey, the kind of person you are, worthy goals for your life – are not idle talk. An UP bracelet is Golab’s constant fashion accessory besides his wire frame glasses. The bracelet, a black rubber piece that looks a bit like a magnet bent around his wrist, records how many steps he takes each day, tracks the quality of his sleep, and helps him log his fitness progress and goals. A bit of stress can increase one’s performance, Golab explains, but too much stress causes a drop in productivity and the quality of work. Scaling back until stress is at a manageable level allows one to create better work. This theory is a pillar of the GoLab work pace companies use to scale back their infrastructure and go further with less. Without overhead costs to worry about, startup companies are free to pursue their goals in a stripped-down office space that suits their size. 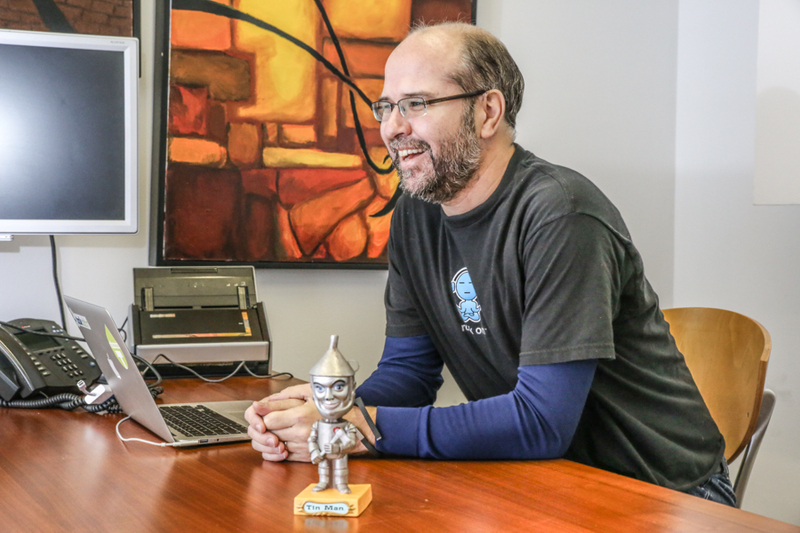 In the middle of all the action at the GoLab is the little bobble head doll, a small symbol of big ideas. 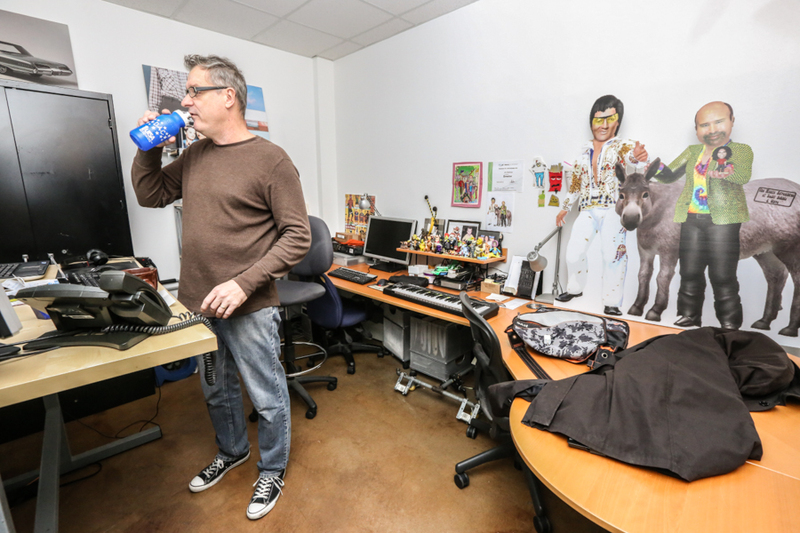 Golab is working smarter, just like the companies in his office space, and has turned his health around.